Owner of FORM Salon and Hair Education, Whitney Haynes has in the past 13 years produced, directed, and worked fashion shows and many photo shoots. In 2013 she was awarded one of the top 10 hairstylist in North America through Davines WWHT, Paris. She has taught blow-drying, creative styling classes, and basic, intermediate, and advanced hair cutting, and in the process became the Director of Education of a premier salon in Dallas, Tx. Whitney has also had the pleasure of learning from many talented hair stylists and educational companies which include, but are not limited to: Vidal Sassoon London, Allilon Education, Toni&Guy, Ramona Eschbauch- Editorial Stylist, Ronnie Stam- Editorial Stylist, PropagandaHair (based in London and Paris), Ion Studio (NYC), Davines, Shu Uemura, Oribe, Orlando Pita, and Tim Hartley. Leighanne Shelton has been named by the beauty industries best as the “go to expert” for Balayage hair color and corrective color work. Its with no suprise that Leighanne, who hails from New York City’s landmark John Frieda Salon, has turned many traditional foil highlight clients on to the more natural looking Balayage highlight and Ombre application. Starting her education at Antoine du Chez Hairdressing Academy in 2007, Leighanne had a natural talent for color formulations and started gravitating towards color services. She sought out new techniques for color application by taking advanced color training classes at the Serge Normant at John Frieda Salon and the Marie Robinson Salon. During her time working in New York Leighanne trained with the renouned Nancy Braun at Loreal’s Professional Institute and with Renee Patronik, named by the New York Times as the best colorist for brunettes. Born and raised in the Dallas/Fort Worth area, Kenneth Colby Sierra began his career as a hairstylist in 2002 after his graduation from the University of Texas Austin. 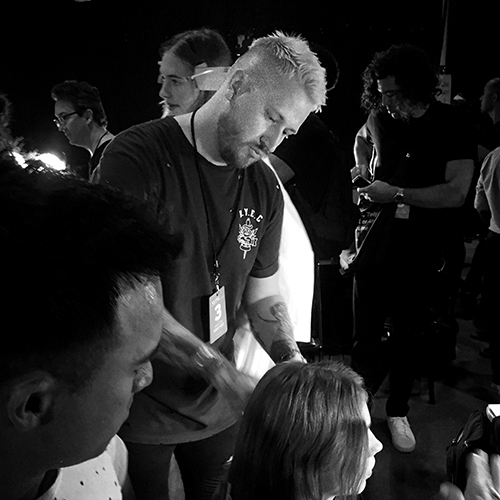 Beginning his illustrious career at Dallas' Osgood Oneil Salon, he successfully worked his way to master stylist, salon educator, and level one educator for Davines. During this time Kenneth Colby Sierra had the privilege of studying hair cutting techniques around the world on his constant search of knowledge. In 2009, Mr. Sierra became the regional runner up in the World Wide Hair Tour hosted by Davines. In the winter of 2010, Kenneth Colby Sierra took his career to the next level and relocated to New York City. During his year long stay, Mr Sierra studied and worked at the fashion industry's leading salon, ION Studio whose clientele included Oscar winner Rachel Weis, "Orange is the New Black" actress Natasha Lyon, and super models Arizona Muse and Doutzen Kroes. Kenneth Colby Sierra was a constant presence at New York Fashion week where he worked along side leading stylist on such shows as Jenny Packham, Three ASFOUR, and Hyden Yoo. Mr. Sierra was also a constant presence behind the camera for prestigious magazines such as W Magazine, Nylon, V Magazine, and Cosmopolitan. He also was the key hair stylist for the promotional video of Lifetime televisions' "24 Hour Catwalk." Now Kenneth Colby Sierra proudly brings his knowledge back to Dallas to his clients giving them the upmost care and knowledge of his craft. Sylvia has been styling hair since 2000. She is Aveda trained, continuing her education and styling hair with Avalon salon for seven years. In that seven years she has participated in countless fashion shows, charity vents, and also worked with Latina magazine. She then went independent working with Anderson Cox and company at Stanley Korshak for three years. She has worked at Halo Salon for four years and is currently working as a hairstylist at Form salon and Hair Education. Coming from a large family in Grapevine, TX she had the chance to practice hair long before she even went to cosmetology school. Her customer service background makes her one of the friendliest and most approachable colorists. Licensed from Ogle Ft Worth since 2009, Jessiy is eager and excited to be a part of FORM Salon. Jessiy has spent the past two years at Halo, where she was doing both color and cuts. She was able to observe and learn from some of the best stylists in the biz during her time at Halo. Passionate about customizing complete looks for her loyal clients, Jessiy also spent part of her time at Drybar. She says she especially loves highlighting blondes from the most natural ashy blondes to the lightest platinum Dallas beauties. Her balayage training comes from Lo'Real balayage specialist Chad Gunn, as well as working along side the talented Leigh Anne Shelton of Balayage Dallas. Jessiy also enjoys working with Pravana and vibrant, fun colors with her more daring clients. Upon joining FORM Salon, Jessiy decided to special in color, continue extensive education and become the best. No signature look because she just loves them all! Ashtyn has been cutting and styling for 3 years now. She chose to apprentice at Form because of our owners focus on education. 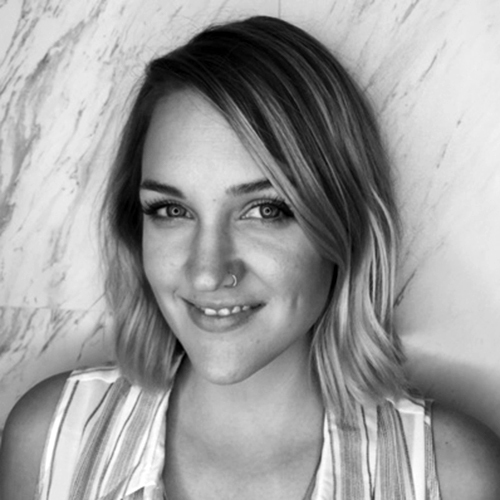 Outside of the salon, Ashtyn has trained with Davines around the country. She joined the industry for the creative outlet and quickly fell in love with making clients look and feel their best. Ashtyn is trained in the fundamentals of haircutting and loves classic styles as much as edgy and modern looks. You can find her work on Instagram by searching for by_ashc. Chris is a color specialist that has been coloring hair in the Dallas area for 7 years. A Georgia native, Alabama trained, he knows how to speak the language of the "Dallas Blonde." Specializing in Foil highlighting as well as many other color techniques allows him to provide guest with dimensional color. Born in Maryland, he also knows how to keep Brunette's turning heads. Chris is happy to have recently celebrated his 14th year in the industry and is passionate about growing and learning new skills to provide exceptional color service to his guests. Francesca is a multifaceted makeup artist who specializes in wedding and special event makeup. She has extensive experience working with published photographers as well as multiple fashion events. She is always searching for innovative ways to expand her knowledge and experience to perfect her craft. In addition to being well-versed in cosmetics, she is an Aveda trained Esthetician, who is passionate about skincare and all things beauty related including full body waxing, lash extensions, brow shaping, tinting, and facial services. Jermaine has been licensed for 8 years, receiving his education in San Antonio at Paul Mitchell, the school. He became in instructor a year later and spent 2 years in a close friend's salon. Jermaine moved to DFW, after receiving his educators license, to teach at PMTS Arlington. After 7 years with Paul Mitchell, Jermaine was offered an opportunity he couldn't refuse. As a stylist and educator at Form, Jermaine's dream of educating salon professionals and clients has come true. Bethany has been a cut specialist for 11 years. Bethany’s biggest inspiration for many years has been short hair! She believes there are so many precise cutting techniques with short cuts that makes hair cutting so fun! Bethany was a mentor at a busy salon in Dallas for 4 of her 7 years before moving to California where she then learned the styles and trends in the Golden Sate!! Bethany’s thorough consultation will make any client feel that they are getting the exact cut and style that they had in mind as well as what is best for their lifestyle and face shape. Come see this Senior Stylist for any cut from short, to long, to any trend! Born and raised in the North Texas area, Jaclyn began her illustrious career in cosmetology in 2015. Having studied extensively under renowned hairstylists, Jaclyn brings her love of styling hair to the men and women of Dallas. Never one to shy away from a challenge, she loves creating dramatic transformations that are wearable and desired by all who see them. Jaclyn looks forward to a lifetime of meeting all your hair needs. Bianca’s passion for hair started during her high school years, as she experimented with color in the kitchen with her mom trying to create the “perfect blonde.” After graduating from the Aveda Institute in 2014 and four years experience as a hairstylist, specializing in balayage and foiling, Bianca’s goal is simple: to make her clients feel beautiful in their own skin. Now being at FORM for almost three years, her love for hair color and styling has grown as she has been educated by some of the best in the industry to help perfect her craft. Whether you need beach waves for a night out or that every day sunkissed look, Bianca will be sure to make your hair dreams come true. Ericka has dreamed of being a hairdresser since the age of 7years old. She appreciates all aspects of the beauty industry. She provides exclusive fashion forward extension services. Ericka’s artistry is complemented by her passion for manipulating tresses! Her love for education led her to Form Salon and Education. After your service with Ericka you won’t just look like a star; you’ll feel like one. Zakary comes to FORM Salon with a unique and well rounded skill set that has made him an asset to our team and education portfolio. 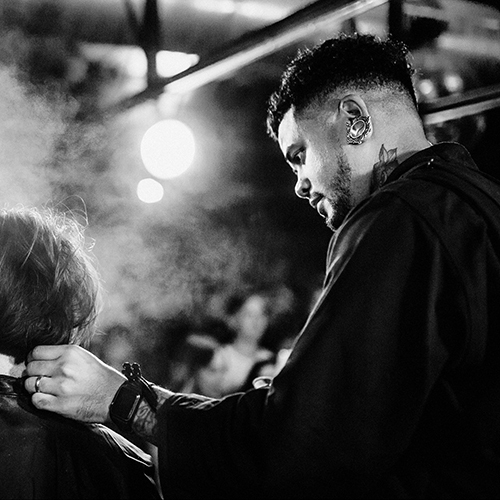 Through his journey in the hair industry, he has seized opportunities that have challenged and moulded his craft to be able create trends and teach clients about their hair in an approachable way. He has worked in many facets of the industry including the Miss Universe organization, on set and editorial work, New York Fashion Week, Paris Fashion Week, London Fashion Week, as well as educating for multiple luxury brands and the CHI Academy. Zak has a strong focus in extension services, hair color and styling and is very excited to bring his skill set to the clients of FORM. Jeannie's a native Louisiana girl has passion for her craft and love for her clients. It’s only natural for her clients to transition into her friends and family. Her 16+ years of experience started at the Dallas Osgood Oneil Salon and has taken her from Dallas to Southern California and ended in Washington DC. In 2014 she brought her passion back to DFW. Her experience gives her the ability to navigate any request beautifully, whether your look is a natural blonde, sun kissed blonde, balayage, or a rich brunette.